Cake Star Push Easy Large Alphabet Cutters - Uppercase - Set of 26. Lettering has never been so simple! 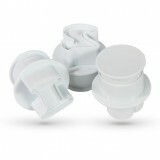 Push easy cutters work with all sugar pastes and are ideal for personalisation. Cake Star Push Easy Cutters are also available in lowercase, as well as numbers. This set of 26 uppercase Cake Star push easy alphabet cutters allows you to simply and quickly cut out lettering for your celebration cakes and cupcakes! 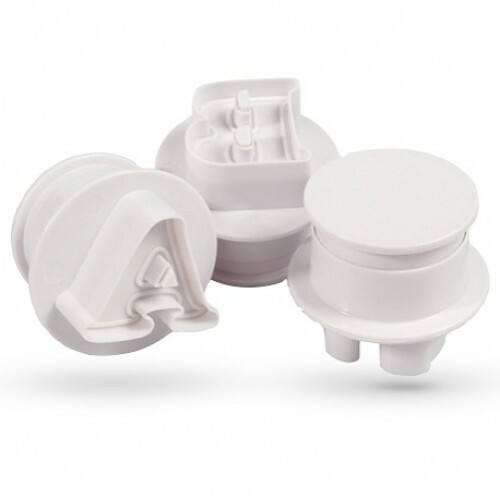 Simply roll out your chosen medium, Cut out your required letter and push the plunger to release the embossed egded letter and place on your cake or cupcake!